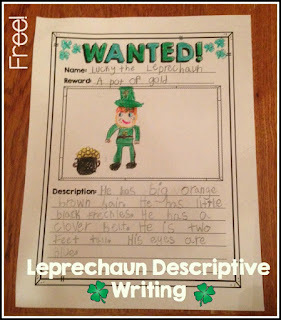 A leprechaun is on the loose in your classroom! Students will fill out a "Wanted" poster to catch this mischievous little guy! This is a quick, fun way to practice adjectives and descriptive writing.